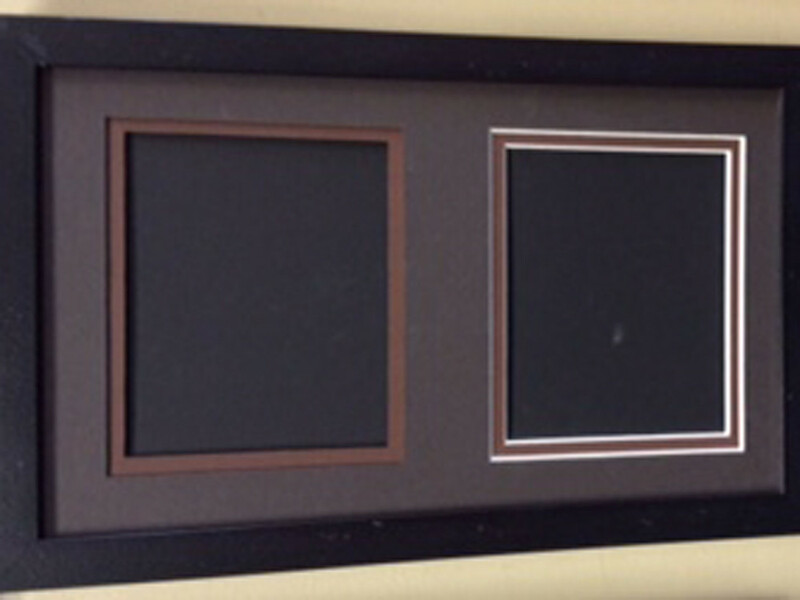 Custom matting is a crucial element to custom framing. 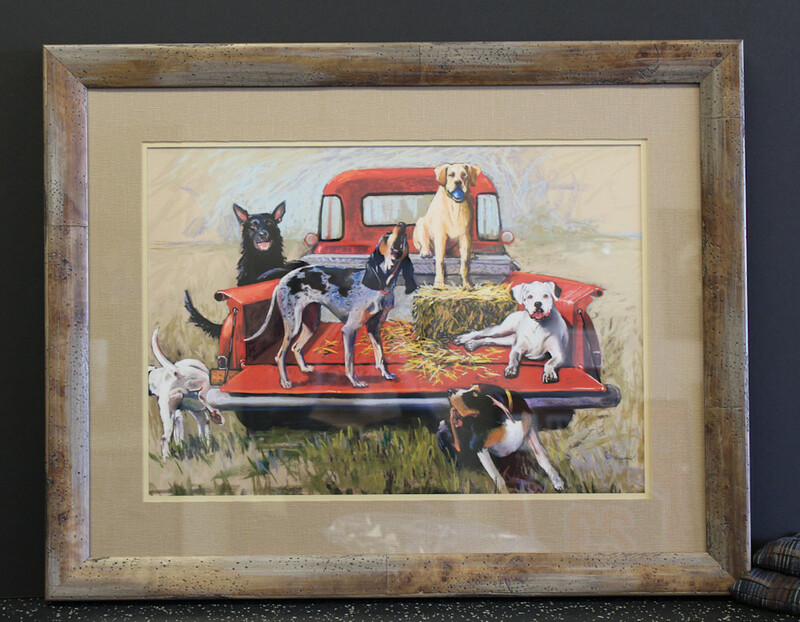 Without proper matting, the final product can look odd or even gradually destroy what's been framed. Read below about the different components of a mat and how we provide excellent custom matting and matting-related services. Click below to skip to a section of interest to you! Matting serves two purposes: one practical, one aesthetic. Practically, it is the buffer between the art and glass. There must be an air barrier between what is framed and the glass, otherwise there can be damage to the art. Due to the natural state of glass (it being the state between a solid and liquid), it can stick to what is pressed up against it after enough time. This is especially true with photo papers. This is why photographs and other artwork need an air barrier. 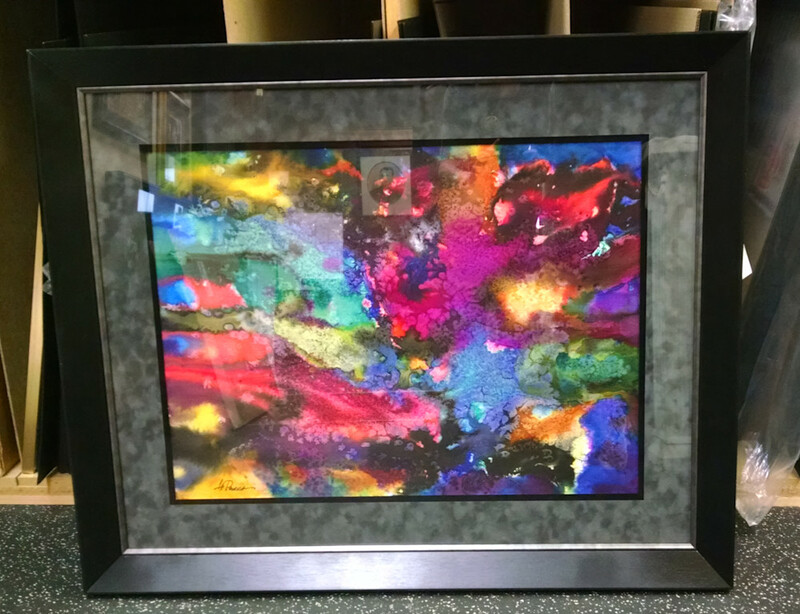 Asthetically, matting focuses your eyes on the art. Matting should be submissive to the art - you should not notice it. By choosing a mat that is cohesive with the art, your eye is drawn in to the focal points of the art instead of being distracted by a stark border. Another aesthetic aspect of matting is the bevel. A bevel is the sloping edge of the mat window and there are two ways to cut a bevel: regular and reverse. Regular bevel is when you see the core of the mat exposed in the sloping edge. Reverse bevel is when it is cut backwards to hide the sloping edge. Each option affects the viewing exerience in a different way. 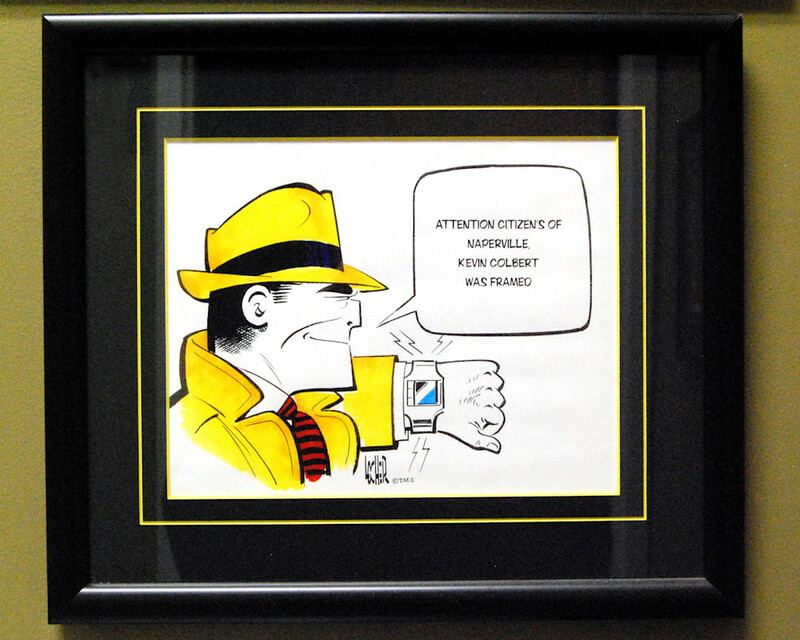 We are happy to recommend one or the other for each custom framing design. 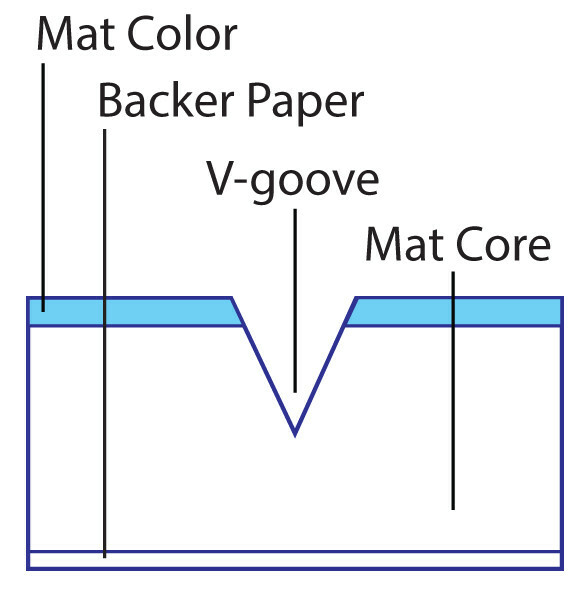 The mat core is the material between the backer paper and the surface paper of the mat. The backer paper is usually the same color as the mat core, while the surface paper is normally completely different. Mat cores of acid-free/lignen-free mats are normally white, but they can also be black or a varieyty of other colors. Ways to reveal the mat core include bevels and v-grooves. 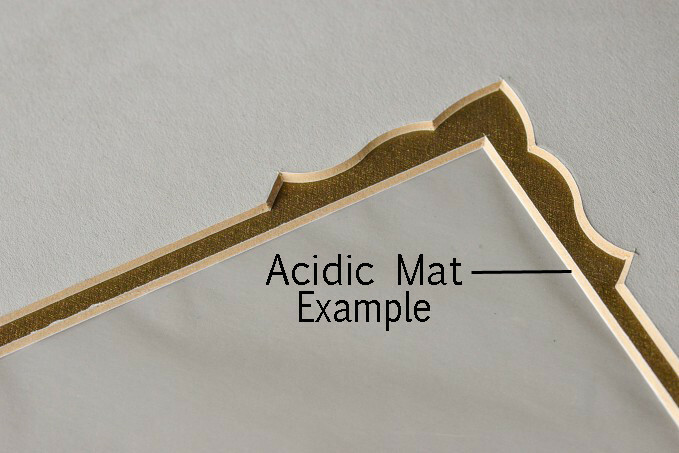 A v-groove is a thin line carved into the top of a mat revealing the core of the mat. 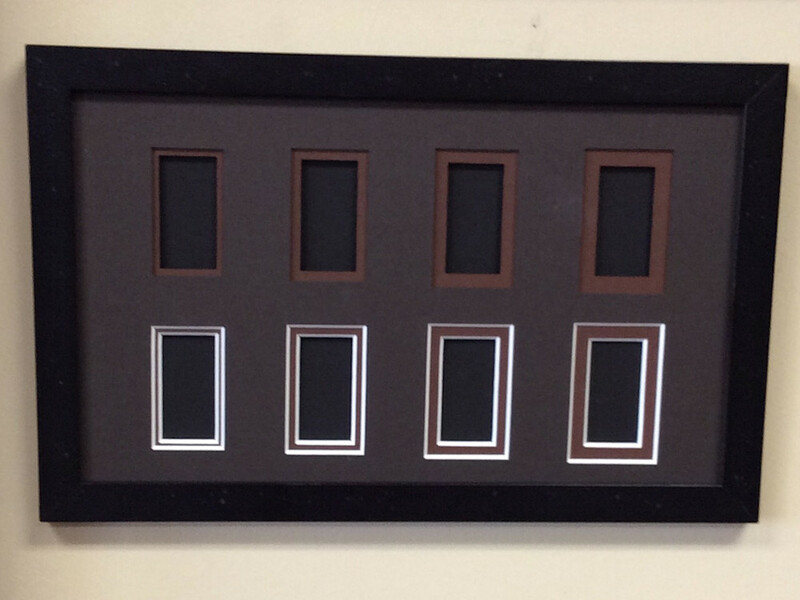 V-grooves can add a decorative touch to the matting. Many diplomas and certificates look great with v-grooves. V-grooves can also be used to create custom designs and patterns into the mat surface. Looks especially great on color-core mats! There are several different types of mat surface paper, but the main three are fabric, suede, and paper, each with a different texture. Suede and fabric mats generally offer a richer, more formal appearance, while paper mats are used for more informal designs or as a bottom layer of matting. Our computerized mat cuts provide precision that surpasses that of traditional manual mat-cutting methods. This also opens the door to more creativity! 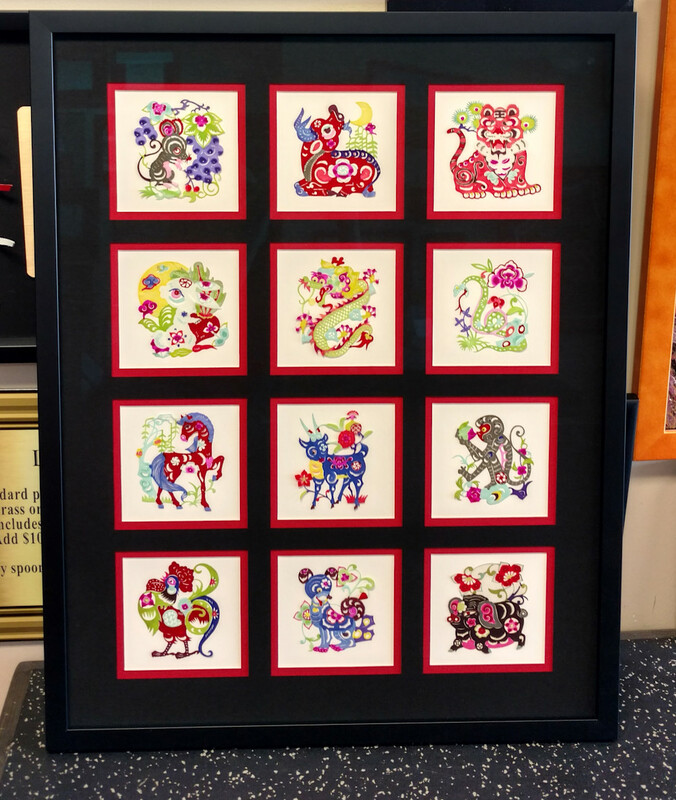 We can make your mat truly custom to your piece. We can cut the mat to follow the lines and curvature of what you are framing, allowing the mat to flow with your piece, drawing your eye to what's most important. We can cut decorative edges to the window, or cut custom-shaped windows to expose an underlying mat. With the computerization of mat-cutting, we can create a mat that is truly custom to your art. Acid is the bane of art's existence. 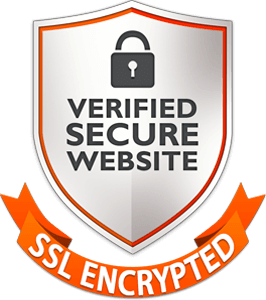 That's why archival environments are critical to the longevity of what you are framing. If the lignin is not removed and the pulp is not buffered, then that mat is acidic. You may not notice an acidic mat at first, but after being in a regular mat for a while, chemicals will eat away at your art until it leaves an ugly yellow burn. This is why we use acid-free and lignin-removed matting. One fun aspect to mat design is mat border width. There are general rules of thumb regarding proper proportions of mat width to art dimensions (we've found that a 2 1/2" mat border is a good width for most applications). But these rules are not set in stone. Sometimes 5" of matting around a 2" x 4" piece of art draws the eye in more than a narrower border would. Sometimes it is also interesting to 'break' the rules to set the art apart from its couterparts. Layering mats on top of each other is another way to enhance any artwork, as it increases visual depth and provides focus to chosen areas of your artwork. How much do you reveal of the bottom mat? Our standard is 1/4". 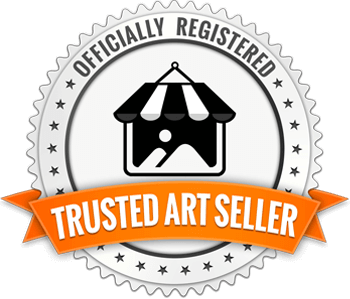 But as with everything custom, it depends on the situation, and we are experts at making recommendations for each piece of art. In layering mats, all sorts of possibilities open up to create unique aesthetics for each custom framing design. 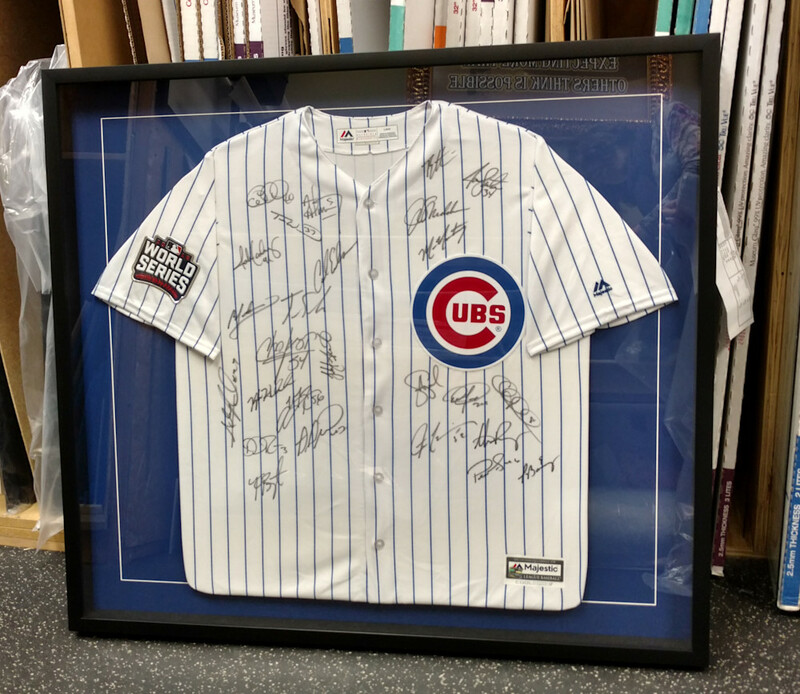 As a framing and art printing shop, it is no surprise that our framing and printing intermingle occasionally. 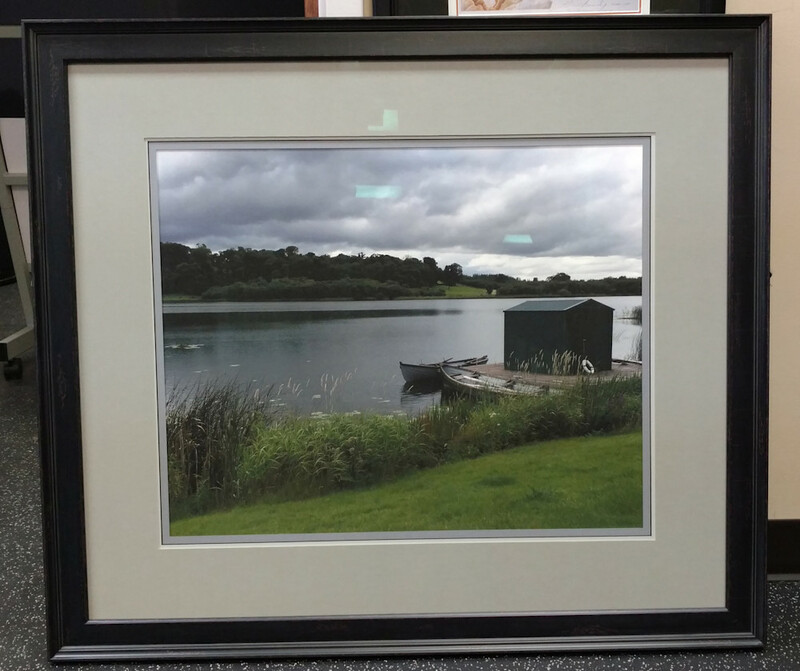 Since everything we do is custom, we can print to fill an unused frame, or frame to fit a print at an odd dimension. However one of our lesser known services is our custom mat printing. Printing directly onto a mat, we are able to add captions and titles around windows, denoting the date, time, or anything that you want to say! 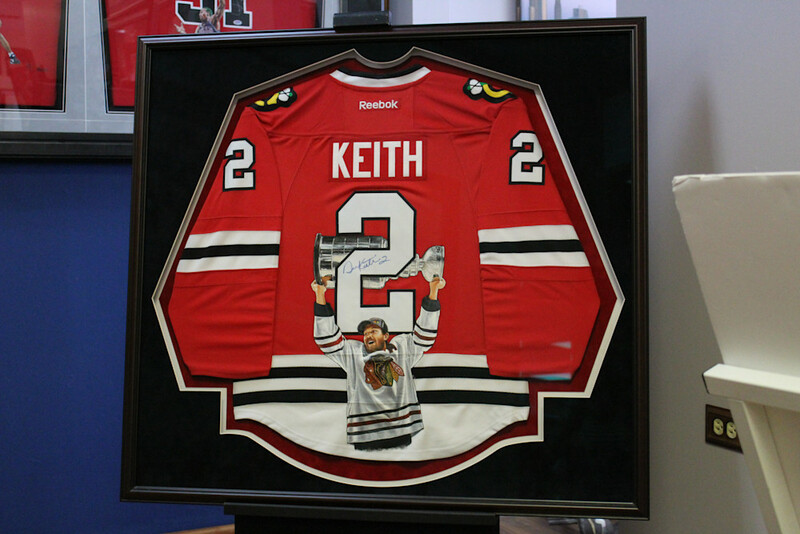 This can be added to number of different kinds of framed pieces, such as vacation photos and memorabilia. We can also print onto our smooth matte paper and dry mount it (a form of adhering) to a mat board, making the image you choose the mat color. This can be anything from a pattern to an EXACT color of what you want on your piece.